Surprise, surprise, another update to Figure/Ground! 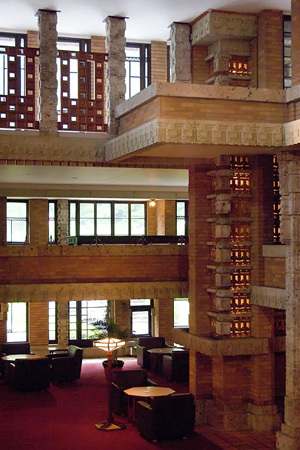 Hot on the heels of the Indonesia travelogue, here's a small update featuring a few shots of Frank Lloyd Wright's Imperial Hotel entrance (yes, just the entrance), moved from Tokyo and planted in an architectural history theme park near Nagoya. I thought it looked extremely sad, having been torn not just from its location, but from the rest of the building as well. It's architecture without context. The photos of the truncated building set against a lush mountain backdrop and overlooking a lake look just so ridiculously incongruous and wrong, so you won't see those here. Some of you are probably curious to see them, but I simply cannot do that to FLW.